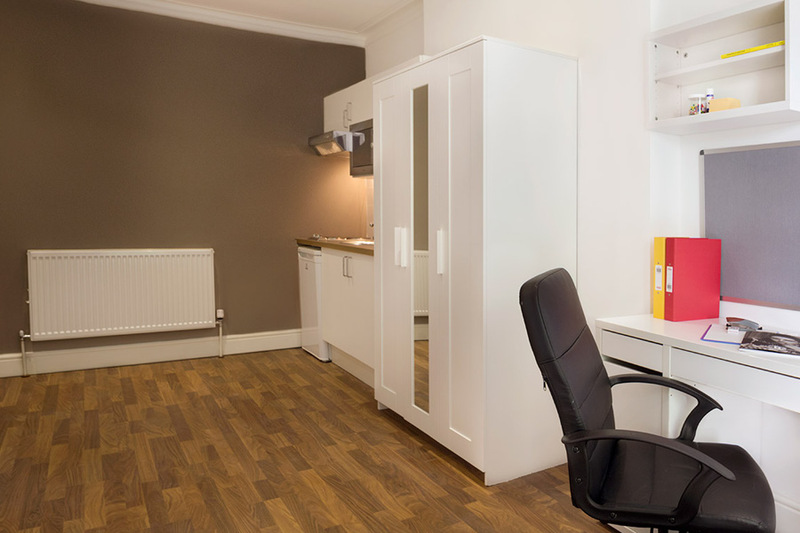 All our 1 bedrooms in London include an ensuite (shower/WC) and mini kitchenette. The kitchen is fitted with a mini fridge/freezer and cooker with extractor fan. All of the furnishings have been carefully chosen with your experience in mind. The pinboard and bookshelf, for example, are just a couple of the many features that allow you to personalise your room and make it your own.